Day two was another successful one for MAW China. Following a content-heavy first day, the companies came into today ready to work hard. The day’s activities were focused around unstructured development time and 1:1 business consulting sessions. The participants arrived early in the morning to begin their development time and take advantage of their time at MAW. The majority of the day was spent on individual development time for each of the 19 companies in attendance. The participants had the chance to work with Microsoft technical experts throughout the day. The experts were on hand to answer questions and assist with the design and development work. Throughout the afternoon, Brian Hoskins, SEBT Microsoft, conducted multiple 1:1 consulting sessions. The companies who participated included: Beijing QFPay Technology Co., Beijing Science Technology Co., and GuoRuan. QFPay is working on a mobile payments system that that supports major credit and bank cards. 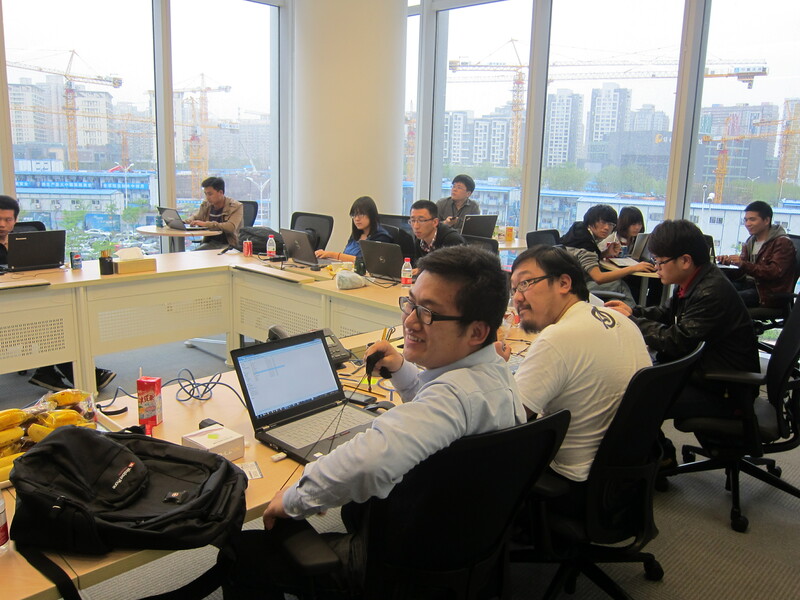 Beijing Science Technology is working on developing a mobile app, iKnow. iKnow is an English study app that is accessible via mobile phones so users can study on the go. The app has already been downloaded over 2 million times! GuoRuan has a set of tools for mobile game developers and has built over 1,000 mobile games to date. Needless to say, there is an impressive group of companies at MAW! The companies are making steady progress on their app development. Several of the participants stayed late into the night to continue development. We have already seen impressive work on design and UX/UI concepts and can’t wait to see what these companies produce by the end of the week.